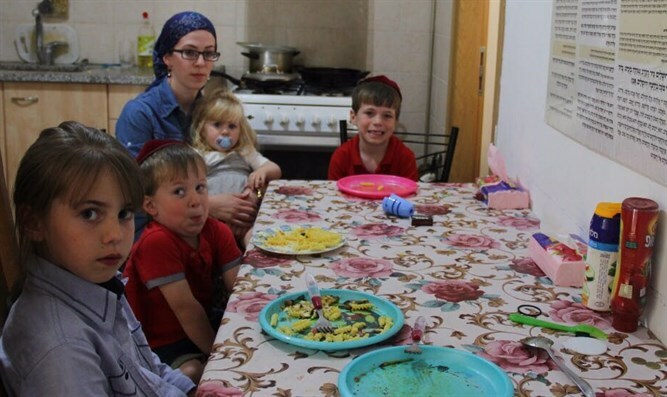 Rav of Kiryat Sefer takes homeless family under his wing. A personal letter was released this week by Rav Meir Kessler shlit"a, chief rabbi of the Kiryat Sefer community, on behalf of a family in a dire state of emergency. The family in question, the Shlessingers, reportedly lost all of their money in a scam. They have now gone overnight from normal family, to literally homeless. According to moving footage of married daughter Leah Shlessinger [below], the 7 children living at home have "no food to eat." The familly undoubtedly hopes that this public confirmation of their character & the severity of their situation from a revered Rabbi will inspire potential donor. An emergency fund has been established, and the Shlessinger family's very survival hinges on its success.